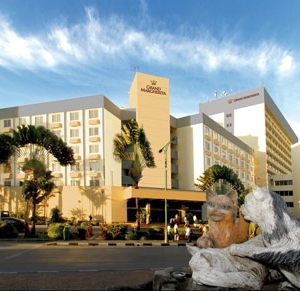 Sarawak’s first international hotel, the Grand Margherita Hotel is by the riverfront and commands an unrivalled view of the picturesque Sarawak River and colourful Malay villages. 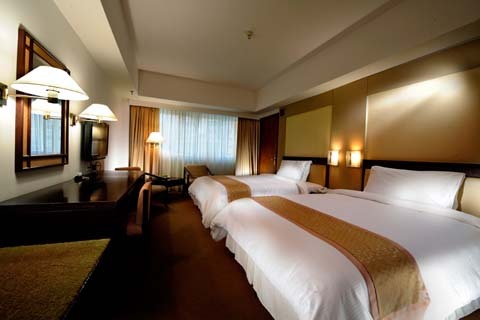 Situated in the heart of the city’s business, entertainment and shopping district, the hotel is 20 minutes drive from the Kuching International Airport. 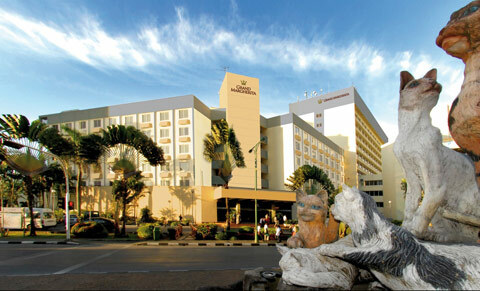 Grand Margherita Hotel is adjacent to the Sarawak Plaza Shopping Complex and the Sarawak Economic Development Corporation Building. 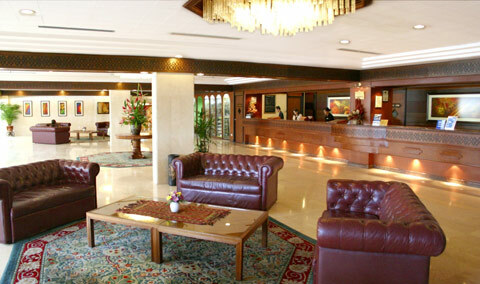 Its sister hotel, the Riverside Majestic is located just across the road. 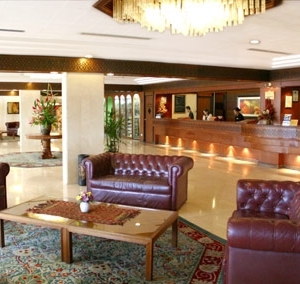 With tourist attractions such as the Kuching Waterfront, Chinese Museum, Tua Pek Kong Chinese Temple, Fort Margherita and Main Bazaar nearby, Grand Margherita Hotel certainly has the best location in the city for business or leisure. The kitchen of Orchid Garden Coffee House & Meisan Restaurant are certified Halal.